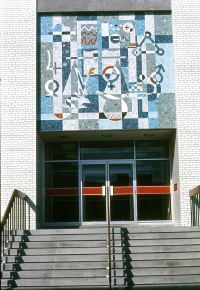 (Above/ below) Mosaic shortly after its completion in 1966 over main entrance of Gooderham Building (#83) at Connaught Medical Research Laboratories, Dufferin Division, University of Toronto. Alexander von Svoboda inspecting the mosaic in his studio before it was installed in 1966. 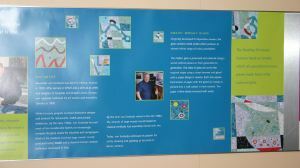 (Right) Display posters in July 2008 located in the main lobby of Building 83 (top), and in the Cafeteria (below) at Sanofi Pasteur's Connaught Campus celebrating the Mosaic. 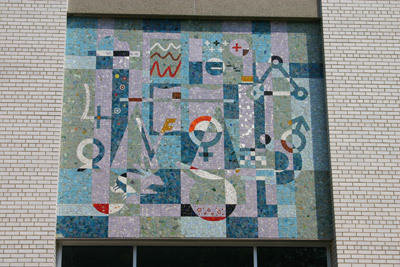 (Above/ below) Mosaic in July 2008 at what is now known as Sanofi Pasteur Limited (Connaught Campus), 1755 Steeles Ave. West, Toronto. 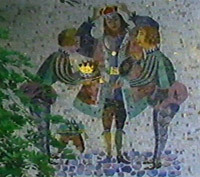 The mosaic is about to have a few of its tiles repaired to restore it to its original condition. 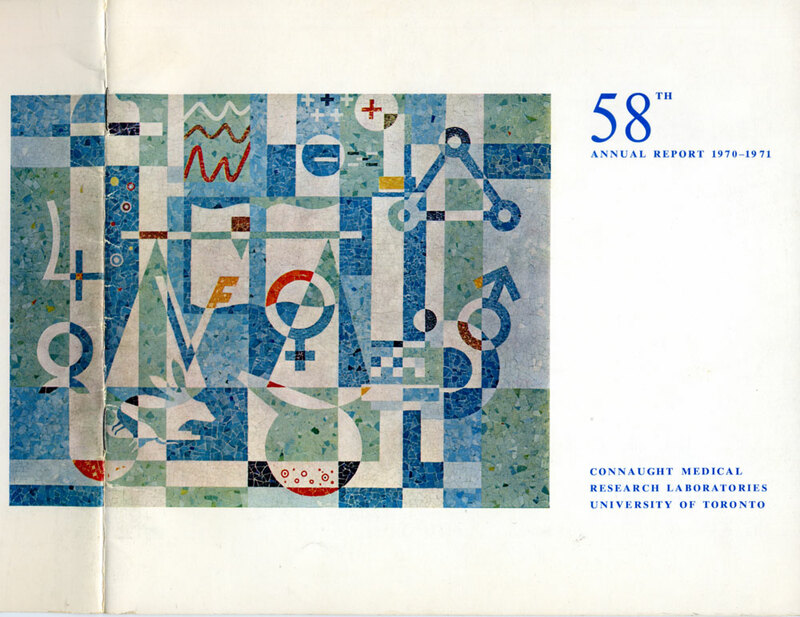 The mosaic was used on the cover of the Connaught Medical Research Laboratories' Annual Reports from 1966-67 through 1972-73. (Right) Alex today in his Barrie, Ontario, studio, where he remains a prolific artist, especially painting local landscapes, and also traveling widely to paint seascapes, wildlife and Native Americans. 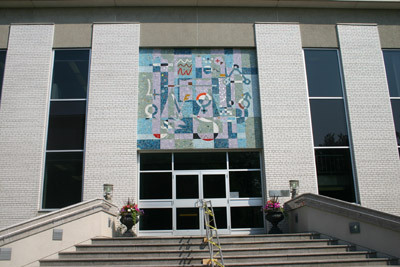 By Christopher J. Rutty, Ph.D.
One of the most distinctive features of sanofi pasteur’s Connaught Campus in Toronto is a large mosaic mural displayed above the front entrance of the main administrative building of the site, known as Building 83. 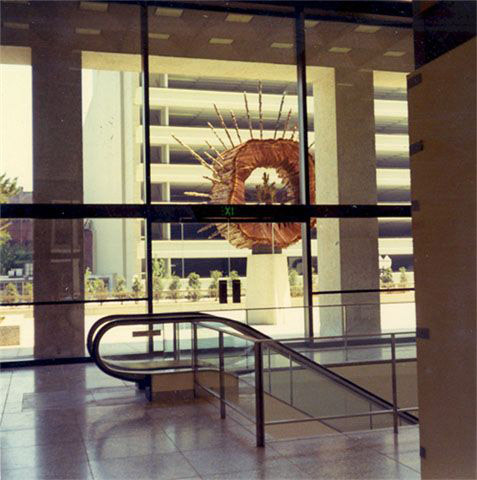 Many employees and visitors have wondered about the story behind this beautiful work of art. 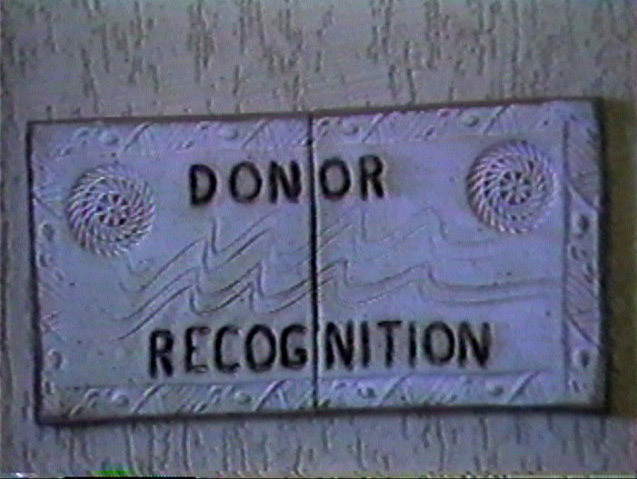 What does it mean? 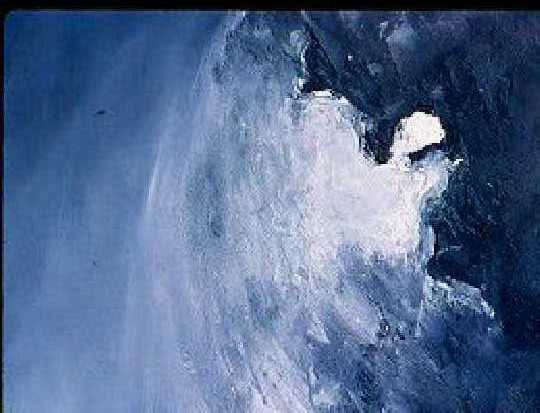 How was it produced? 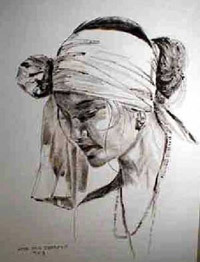 Who was the artist who created it? 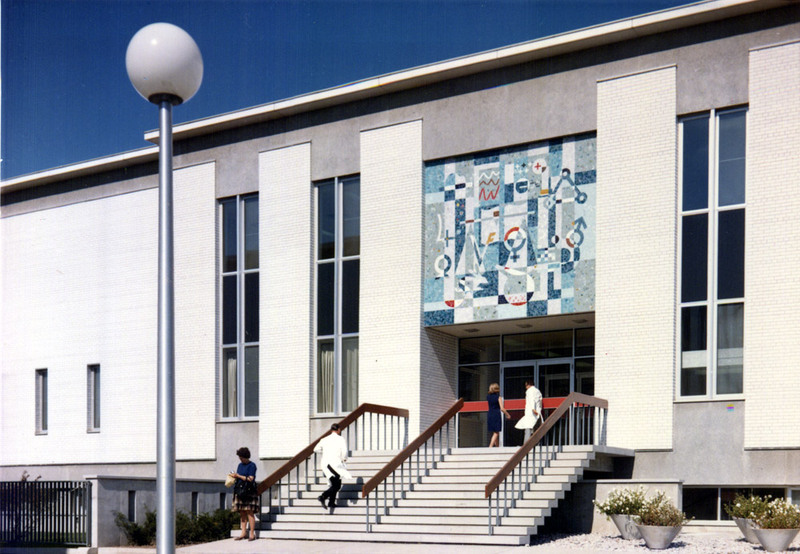 Building 83, along with #81 and #82, were officially opened on June 21, 1966, and, as Connaught’s Annual Report for 1965-66 noted, “were designed as a group and display a degree of beauty and dignity worthy of the men they commemorate:” Dr. John G. FitzGerald (#81), the founder of Connaught Laboratories; Dr. Donald T. Fraser (#82), pioneer of vaccine research and development; and Albert E. Gooderham (#83), who donated the land upon which the company has grown. 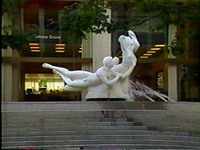 In addition to the design of the buildings themselves, it was decided to add a further distinction by commissioning a unique work of art to adorn the front entrance of the Gooderham Building that would symbolize the mission of the Laboratories. 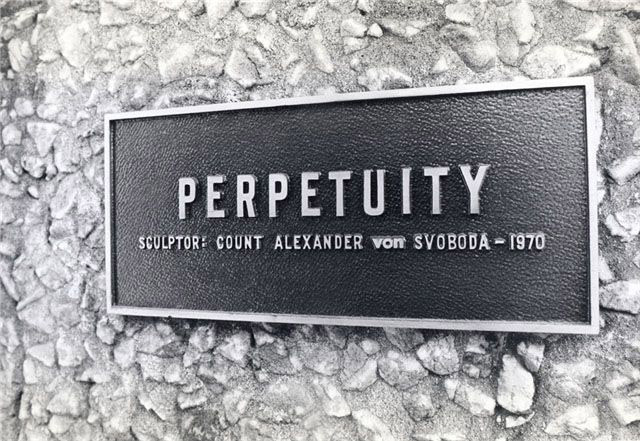 In the mid-1960s, one of the most prominent artists in Canada, and indeed the world, specializing in the type of building artwork Connaught’s leaders were looking for, was Alexander von Svoboda. 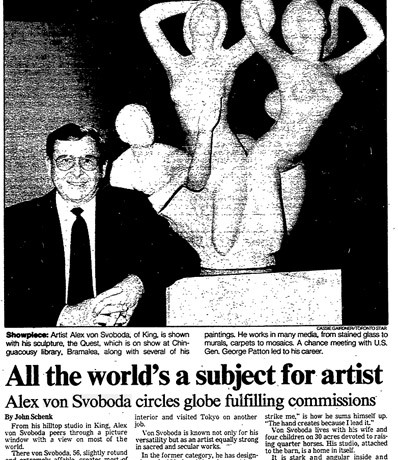 Born in Vienna in 1929, von Svoboda arrived in Toronto in 1950 with but $10 in his pocket and an inexorable drive to be an artist on a large scale. At age 15, following a childhood of wealth, privilege and art school, von Svoboda endured service in the Nazi army during WWII for suicide missions. He was then captured by the Russian army for service in Siberia and soon engineered an escape that led to an arduous 6,000-mile trek back to Austria. 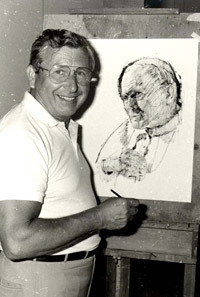 He then befriended a group of American soldiers, which lead to service as General George Patton’s interpreter, and finally a position in the U.S. Army as an artist and designer of hospitals and chapels across Europe. Further art studies, and a realization that Europe was too small for his ambitions, prompted von Svoboda’s move to Canada, although his first years in Toronto were spent doing more general labour than artistic jobs. 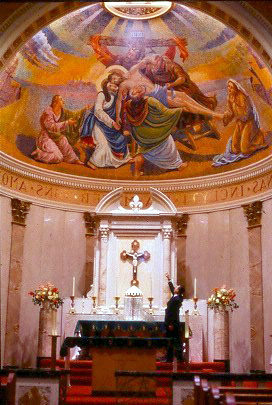 While his first projects included creating distinctive designs and artwork for restaurants, hotels and private residences, by the late 1950s and early 1960s, von Svoboda focused most of his considerable talents undertaking increasingly complex liturgical works for churches and synagogues. 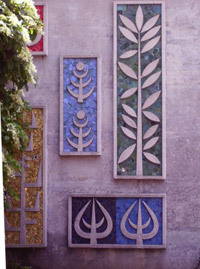 Most of von Svoboda’s creations involved large mosaic murals produced using a glass tile material known as “Smalti,” and a classical mosaic creation technique developed in Italy, which Svoboda mastered and brought to North America. 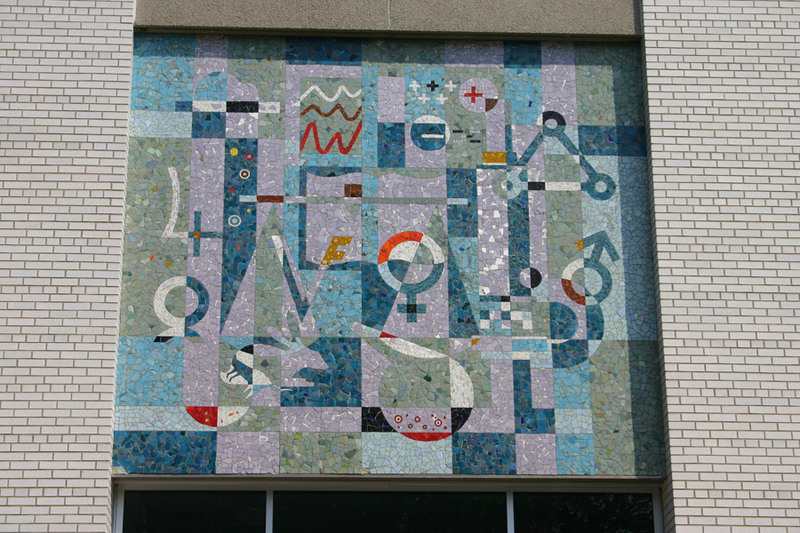 The design of the mural, in von Svoboda’s words, symbolizes “the progress and research of the Connaught Labs company, and will outlive the next century.” It captures a variety of iconic scientific items and symbols, including a microscope that spans most of the right side of the design, while a test tube dominates the left side. 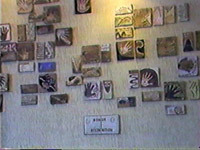 Other images are integrated into the collage, including a rabbit and mouse, which serve important roles as test animals, a scale, an open book, a graph showing scientific data, and a round laboratory flask with a bubbling liquid. 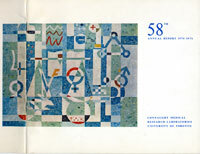 There are several other symbols in the design, including the iconic symbols for male (centre right) and female (centre), the world (lower centre left), positive and negative electric charges (top right of centre). 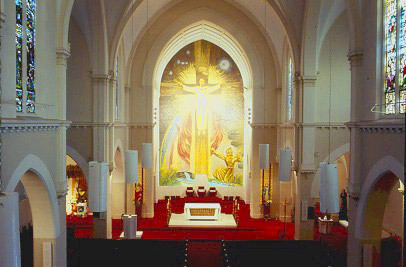 During the 20 years following the completion of the Connaught mural, the pace and scale of Alexander von Svoboda’s creations increased remarkably, including a wide variety of commercial, residential and liturgical projects in the Toronto area, across Canada and in many parts of the world. 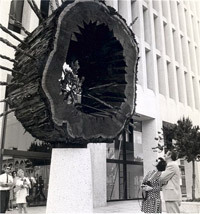 Among his most impressive works include perhaps the largest sculpture ever created in the modern era, entitled “Quest,” which featured several figures in a fountain carved from a 200-ton block of pure marble, “Perpetuity,” which is a giant cross section of a redwood tree hollowed out, petrified and embellished with a bronzed sapling tree placed inside, and a life-size bronze statue of Pope John Paul II for his 1984 visit to Toronto. 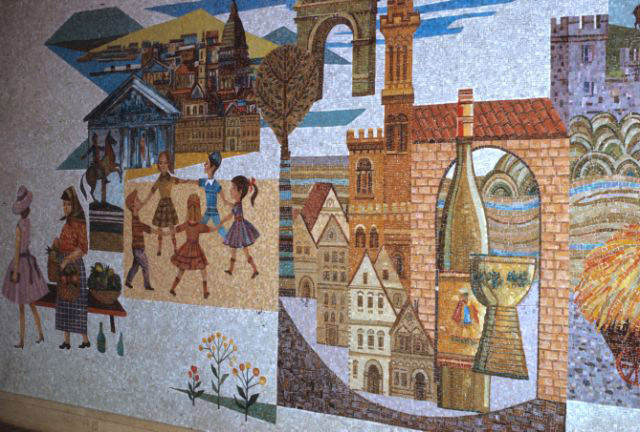 By the time von Svoboda retired in the late 1980s, the type of large artworks he specialized in, particularly mosaics murals based on classical methods, essentially retired with him. 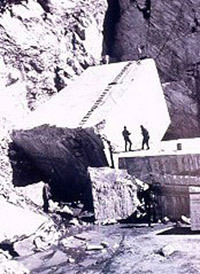 Such projects simply became too complex and expensive for anyone to undertake. 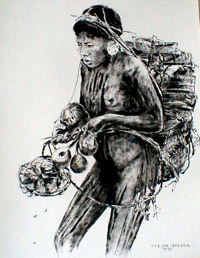 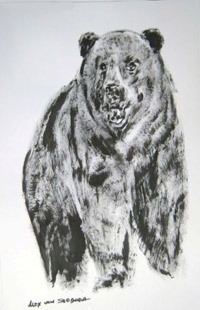 However, the ever restless artist did not stop working and since his retirement has maintained an remarkable pace, focused mainly on drawing and painting a wide variety of subjects near his Barrie, Ontario, home, and in many places around the world, and using his computer to document and catalogue his incredible collection of work. 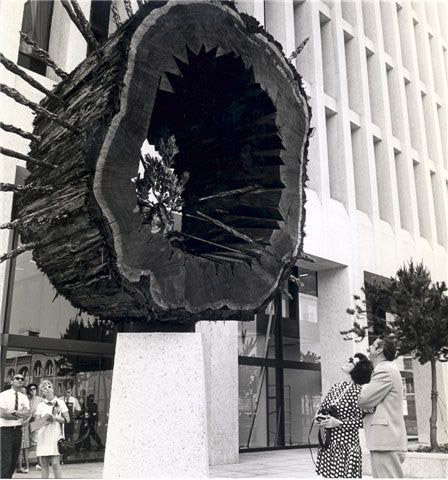 What is described as one of the major private art collections in the western United States will be unveiled to the public in Portland, Oregon, late this month. 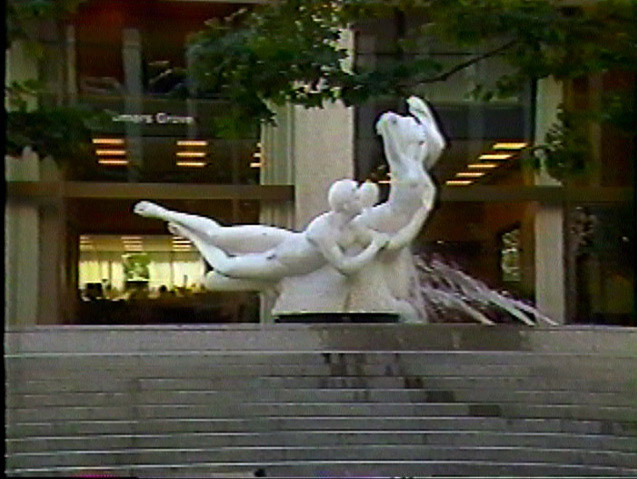 The nearly 400 pieces, ranging from oils to wood carvings, are highlighted by a 17-ton symbolic quintet of pure white marble figures in a plaza fountain setting. 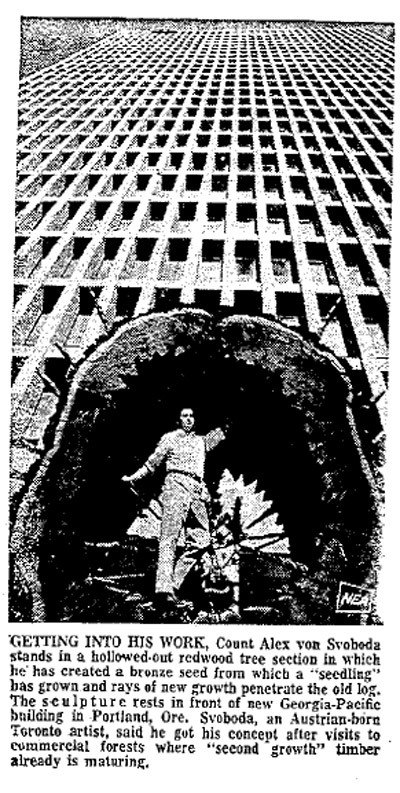 The collection is the final, aesthetic touch for the new Georgia-Pacific Corporation 30-level world headquarters building in downtown Portland. 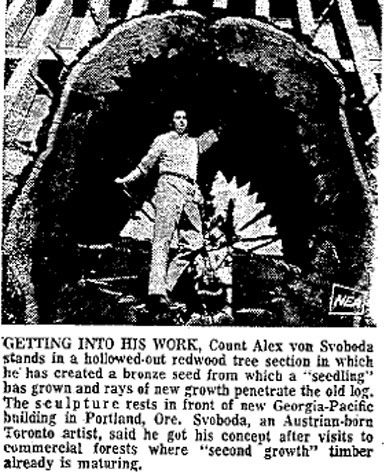 MOST OF THE artists are Oregonians, but among the 79 artists are 20 Italian stonecutters who worked with Count Alex von Svoboda of Toronto, the marble sculptor, for more than two years. 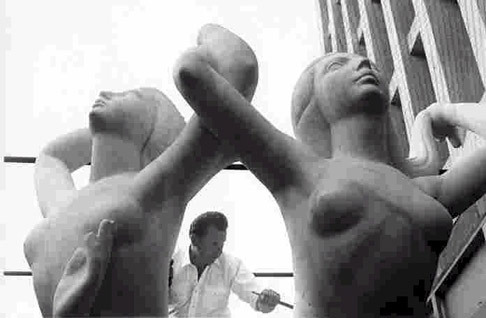 The heroic marble figures, fashioned by von Svoboda for G-P's 5th avenue public plaza from a 200 ton block of marble quarried near Athens, Greece, has just been unveiled as a preview of the collection. 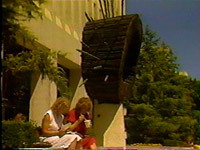 At the formal community ceremony when princesses of Portland's International Rose Festival pulled a cord to lift the veil, there was a momentary stunned silence then crescendo of applause duly recorded by local news media. 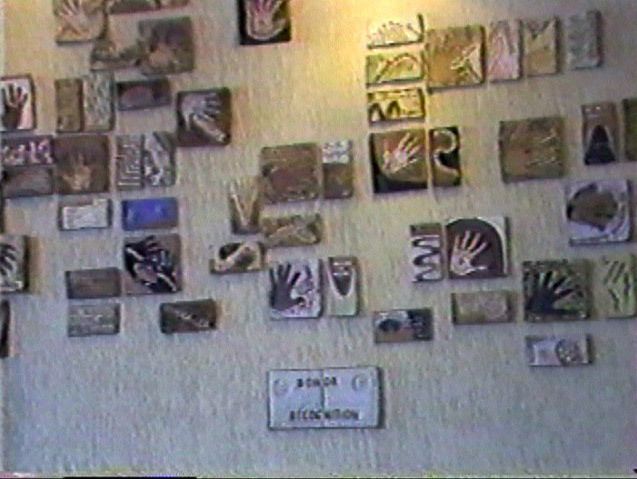 Alexander von Svoboda pioneered the concept of the "Donor Wall" as an artistic work of art for Hospital fundraising initiatives based on his "Hands Healing Hands" slogan. 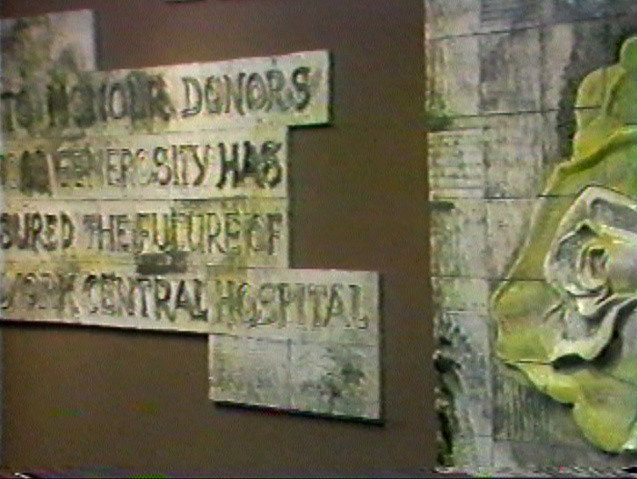 Toronto Western Hospital was the first of many hospital donor wall projects Mr. von Svoboda was comissioned to undertake in Canada. 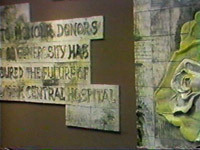 After searching more than a year, the directors of York Central Hospital Foundation decided on a unique ceramic mural designed by Count Alexander von Svoboda as a means of acknowledging donors. 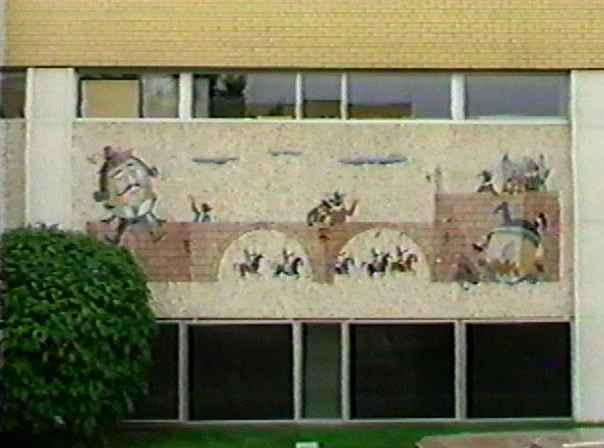 This large project involved a series of outdoor mosaic murals around the buiding depicting a variety of popular children's nursery rhymes. 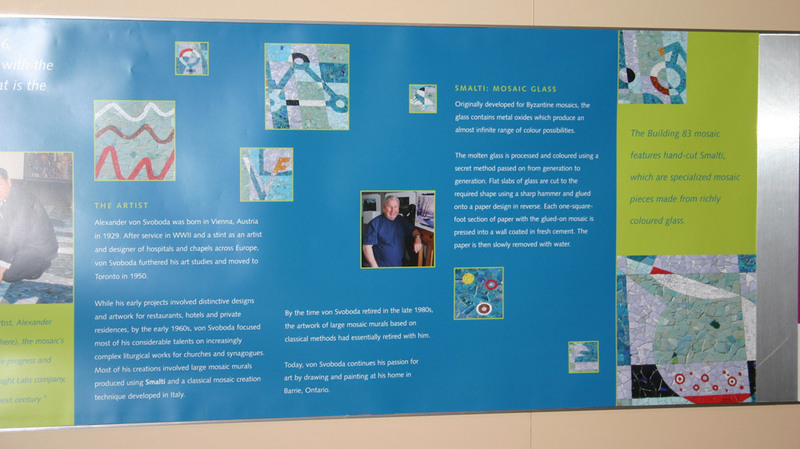 Alexander von Svoboda was comssioned to create a large indoor mural highlighting the lives of aboriginal Candians for this hospital for the northern Alberta aboriginal community. 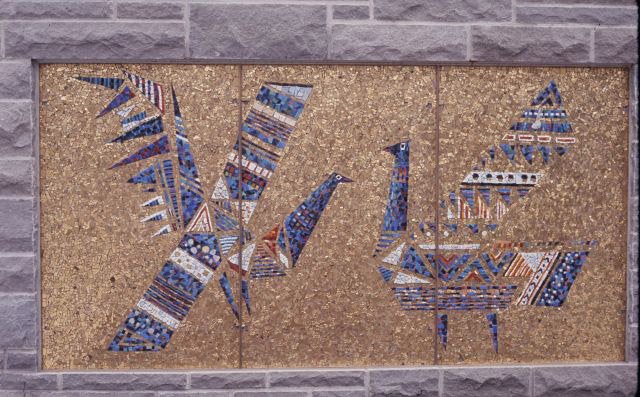 REBIRTH OF MOSAIC ART IN ETOBICOKE CHURCH TORONTO - An art form begun by the Sumerians of the Euphrates Valley in BC has planted firm feet in Canada. 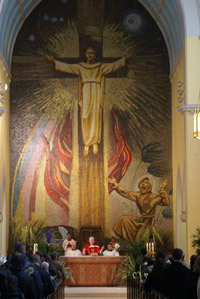 Mosaics have been installed in Toronto's Church of Our Lady of Sorrows, as part of a renovation program. 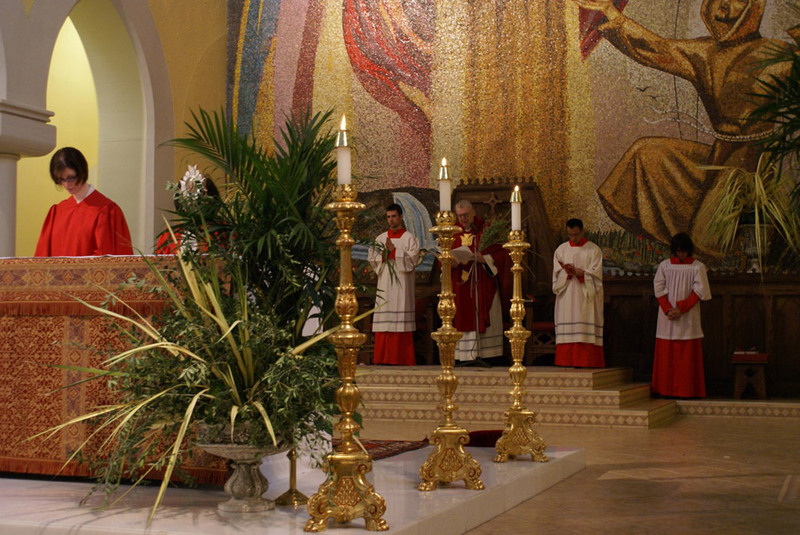 The Seven Sorrows of the Blessed Virgin are portrayed in larger - than - life - size reproductions complemented by highlights from the life of Christ. 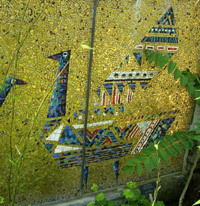 The mosaics were executed by the Svoboda Studio under the direction of Count Alexander von Svoboda. 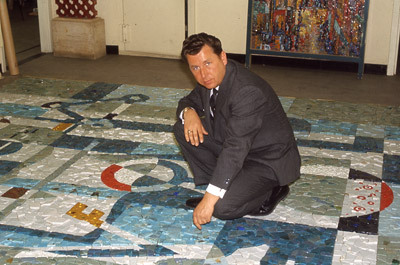 The work began on March 21st 1960 and seven tons of tiles, in 150 colours, were used to make up the mosaics, which cover about 10,000 square feet of the clerestory walls and the apse of the church. 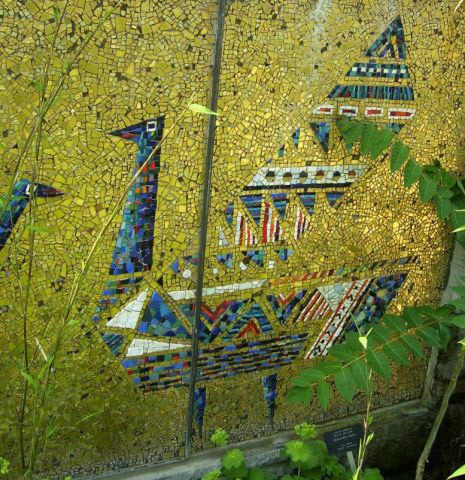 The cutting and placing of the tiny individual tiles were done in a studio by 13 mosaicists. 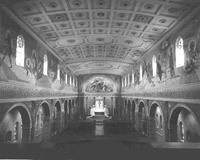 As major segments were completed they were transferred to the church for installation by the craftsmen. Installation in the church began on May 1, with artists working five days a week and, on Saturdays, clearing away materials and tools so that services could be conducted as usual each Sunday. 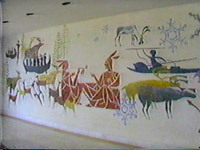 Count von Svoboda was born and educated in Vienna and for the past ten years has been identified with the creation of several murals in Canadian buildings. 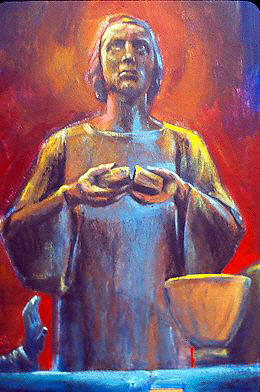 In St. Frances of Assisi's Canticle of the Creatures, the 12th century founder of the Franciscan Fathers praised God for giving Brother Sun, Sister Moon, Brother Fire, Sister Water, Brother Wind and Mother Earth. As the world becomes rapidly polluted St. Frances today is regarded as patron saint of the environment. The parish priest at St. Frances' Roman Catholic Church, an Italian parish on Mansfield Ave., Rev. 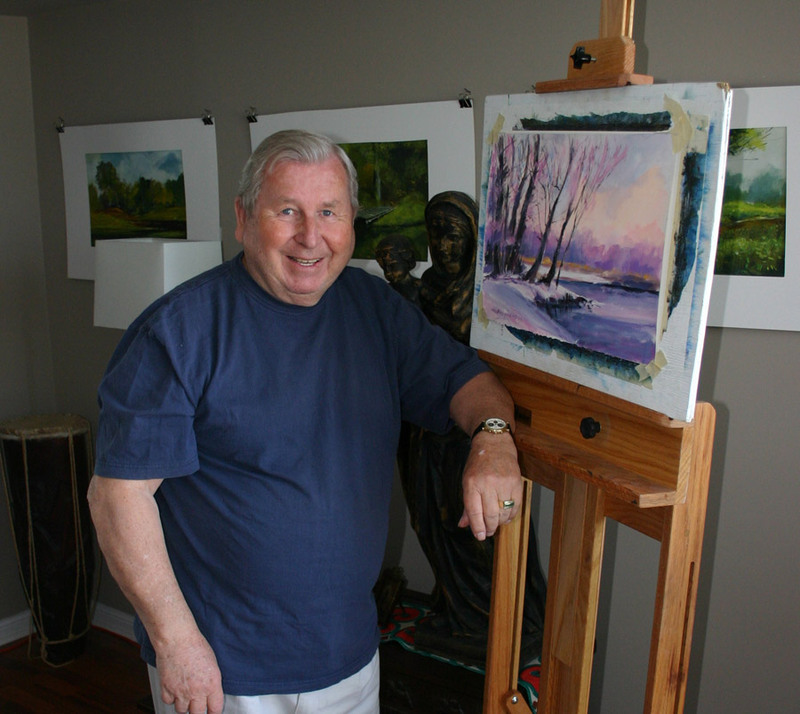 Arthur Lattanzi, 59, is doing his thing for St. Frances and the ecology. He has installed a massive mosaic in the church depicting St. Frances love for nature. 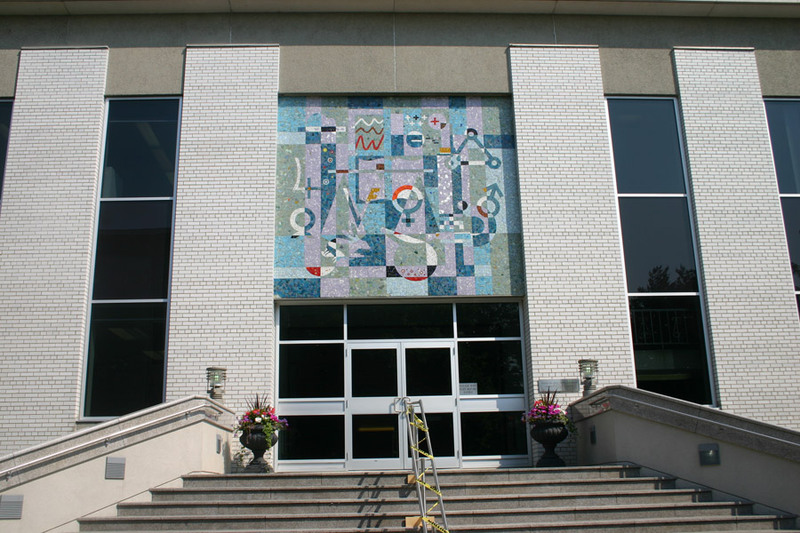 Renovators have just completed the finishing touches to the 55 foot high mosaic in Venetian glass - believed to be the tallest in Canada. 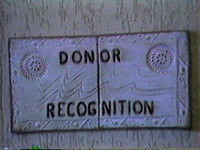 It is part of a $150,000 renovation of the 70 year old church building. 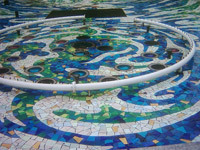 The interior and mosaic was designed and executed by Alex von Svoboda. 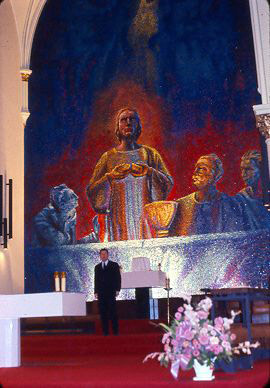 Under von Svoboda's supervision, the mosaic was constructed by his artists in Florenze, Italy, and shipped to the church in crates containing 1,100 sections, each made up of 360 pieces per square foot. 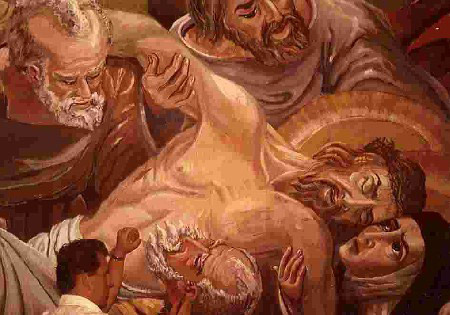 THE MOSAIC MURAL OF THE LAST SUPPER - From antiquity to the present, smalti mosaic tessarae has been a symbol of beauty and permanence. 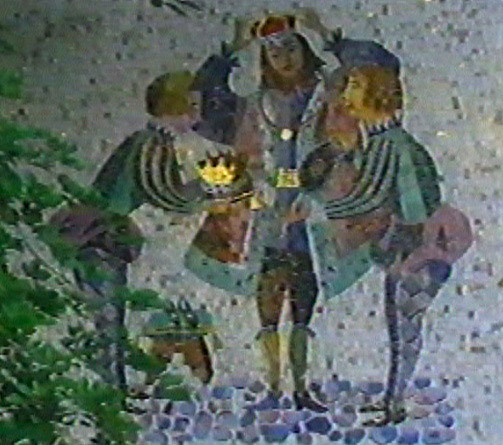 Smalti mosaic is a form of glass now only produced in Italy by a limited number of manufacturers who have inherited the secret of making it from their ancestors. Its use for over sixty centuries demonstrates its durability to wear and resistance to climatic influences as well as its pleasing aesthetic value. The mosaic mural of the Last Supper for St. Peter's Cathedral in Peterborough, Ontario, is a rustic textured mosaic and one of the largest murals of its kind in Canada. 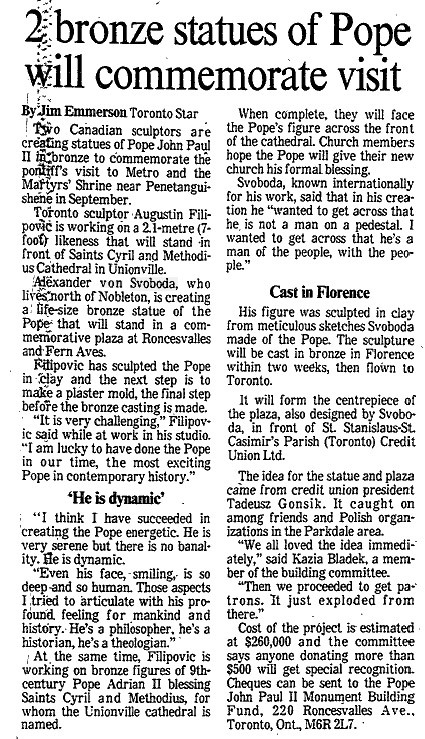 It was completely executed from start to finish at the studio in Downsview, Ontario. 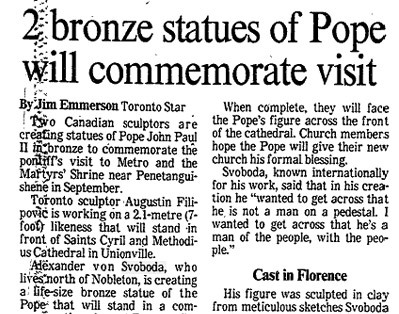 The design was conceived by the Art Director, Alex von Svoboda, who is well known for his art work across Canada. 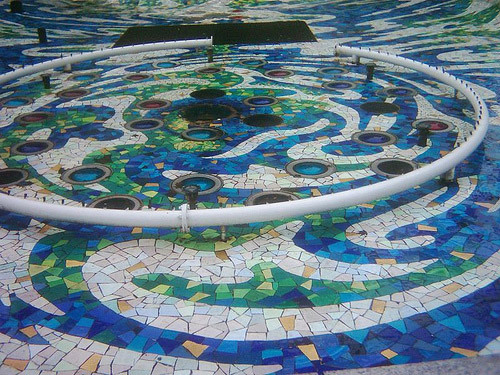 The actual cutting and setting of the mosaic was carried out by Con-Arts Studio's own skilled mosaic artisans, who are trained for six years in this specialized art. 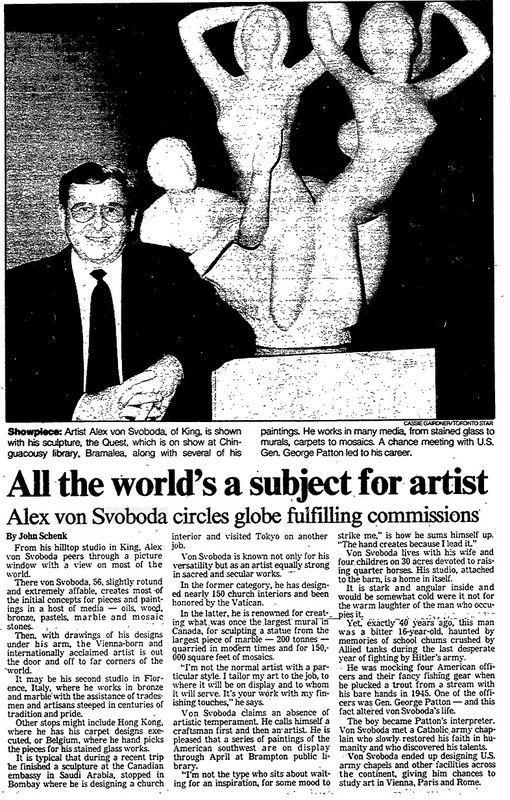 They were under Mr. von Svoboda's personal direction and supervision. 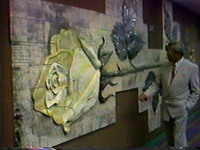 The mural took one half a year from initial colour renderings, through the actual selection of the mosaic in Europe by Mr. von Svoboda, to the installation date. 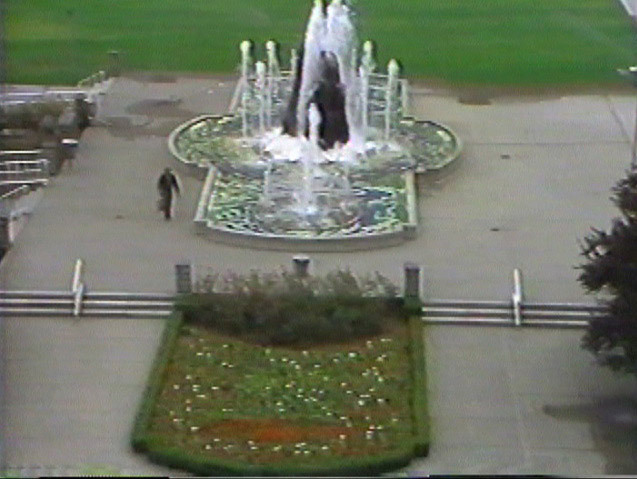 I used 18 feet high, black marble from Carrara, Italy in the centre motifs of the fountain. The fountain complex measures about 72 by 36 feet, with a centre basin that is ten feet in diameter. 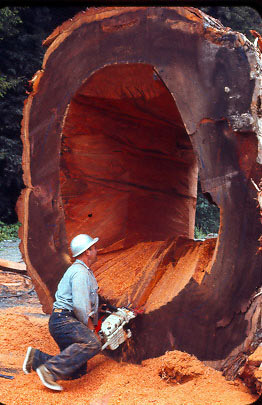 Water is pumped and circulated at a rate of 300,000 gallons per hour. The fountain is operated by computer which also controls its sophisticated lighting system, which changes every 3 minutes. The central jets reach 60 feet skyward. Shortly after the Royal Botanical Gardens opened in 1961, Alexander von Svoboda was commisioned to create several works, including mosaic murals for the fountain and a sculpted overpass. 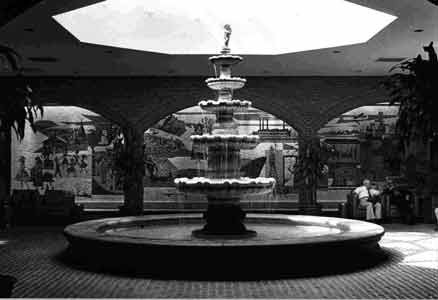 Villa Colombo is a seniors centre for Italian-Canadians, for which Alexander von Svoboda created a fountain and a large mosaic mural depicting the arrival of Italians to Canada to start a new life. 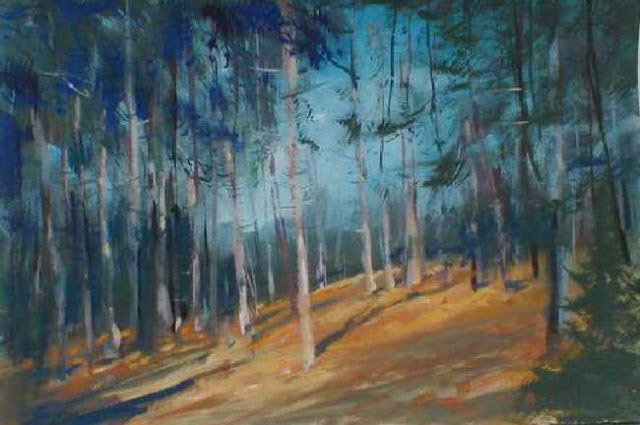 Alexander von Svoboda has remained a prolific artist in recent years, focusing his attention primarly on producing paintings. Among his favorite subjects are landscape scenes near his Barrie, Ontario home, as well as more tropical scenes painted when he travels. 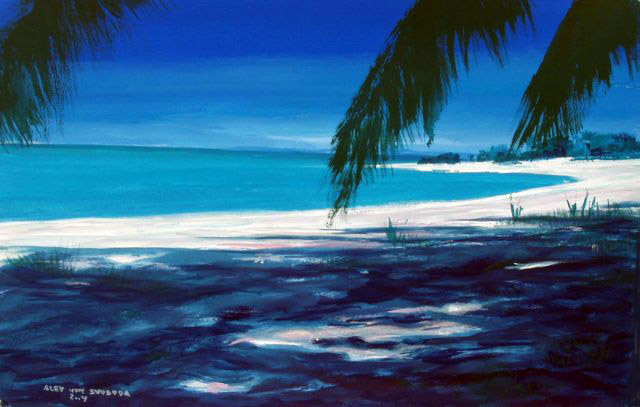 Alex also has a fascination for painting water in a variety of seascapes. 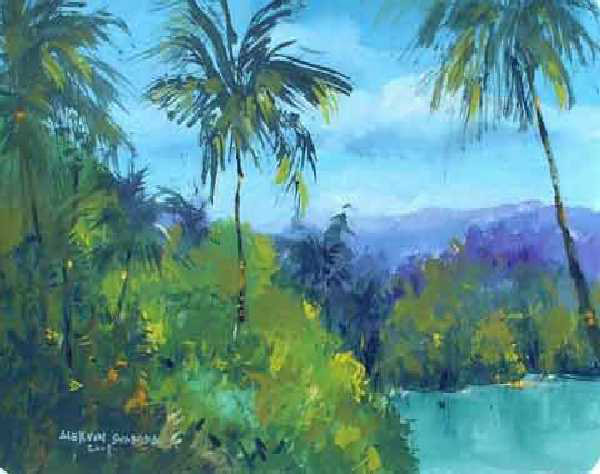 He feels he has mastered the art of painting watery scenes so they look quite real. 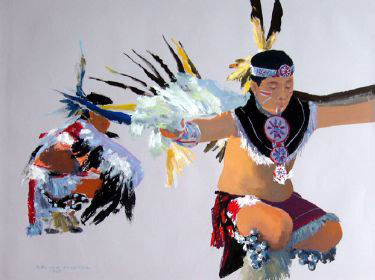 Alex has also held a long interest in painting North American native peoples, especially in the south-western United States, which he has visited often. 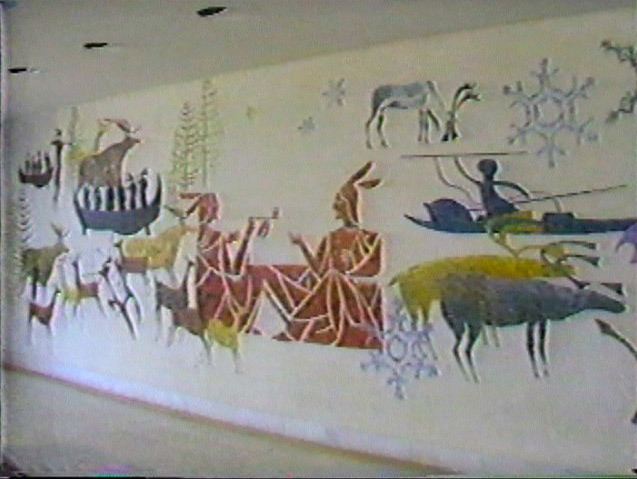 He developed a close relationship with a number of native groups who allowed him freedom to paint scenes from their lives close-up. Wildlife is another great subject of interest for Alex and his paintings for many years. 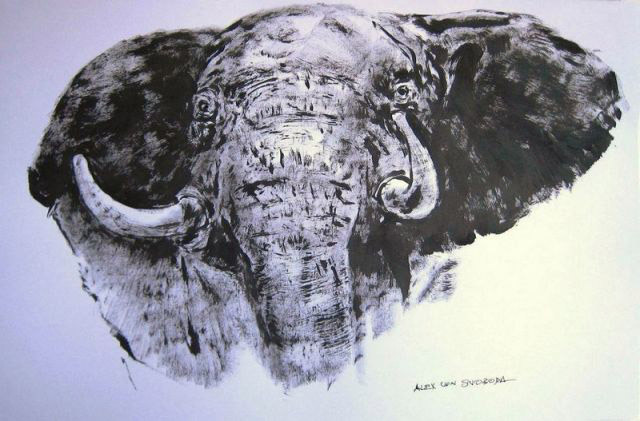 He has traveled extensively, especially in Africa, and utilzing his extraordinary skills to capture his subject with a paint brush very quickly and accurately, Alex has created a large body of dramatic wildlife art. 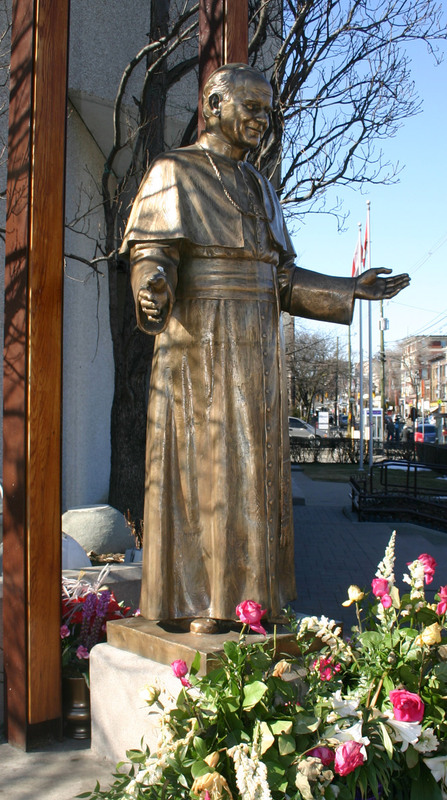 1970  Holy Family  Hamilton. 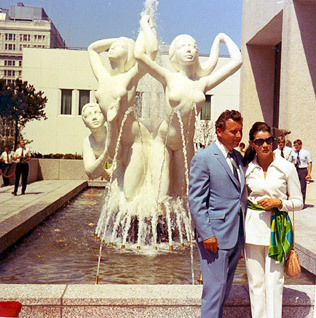 Connaught Laboratories: A Brief History. Known as Connaught Laboratories during most of the 1920s through 1940s, and as Connaught Medical Research Laboratories after 1946, the Labs remained an uniquely organized, non-commercial and self-sustaining part of the University of Toronto from 1914 until 1972, when it was sold to the Canadian Development Corporation (CDC), a federal Crown corporation, and privatized. 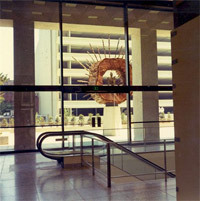 By 1989 the CDC had divested much of its interest in Connaught and Institut Merieux of Lyon, France, acquired a controlling stake in the company. 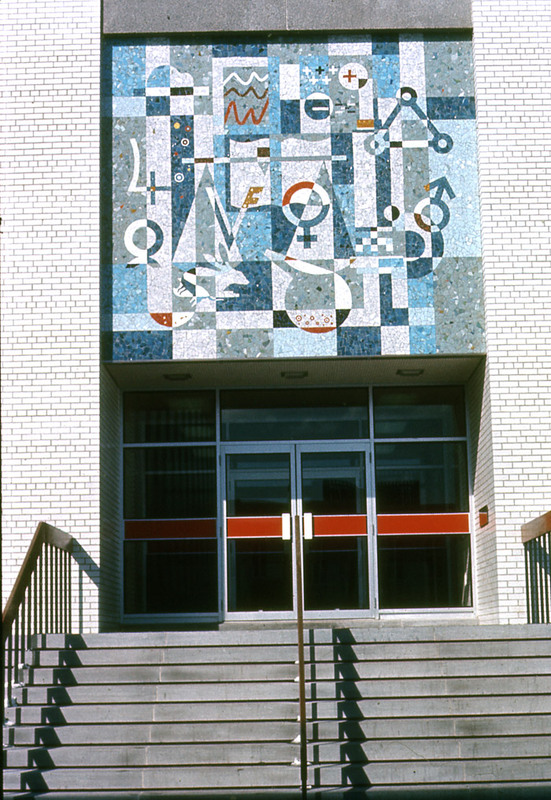 By this time, Institut Mérieux had formed an alliance with the Pasteur Institute. 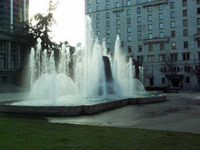 Over the next decade Connaught remained the Canadian component of what became known as Pasteur Merieux Connaught, which, in turn, was owned by Rhone Poulenc, a French multinational chemical, agricultural and biotech company. 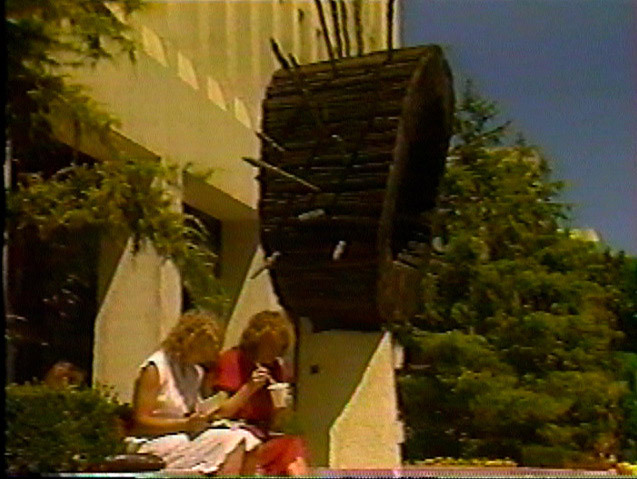 In December 1999, Rhône Poulenc and the German pharmaceutical and chemical company, Hoechst, joined forces to create a new pharmaceutical/ biotech giant known as Aventis. 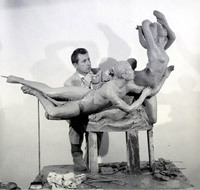 In the process, Connaught's identity changed in a significant way for the third time since 1972. 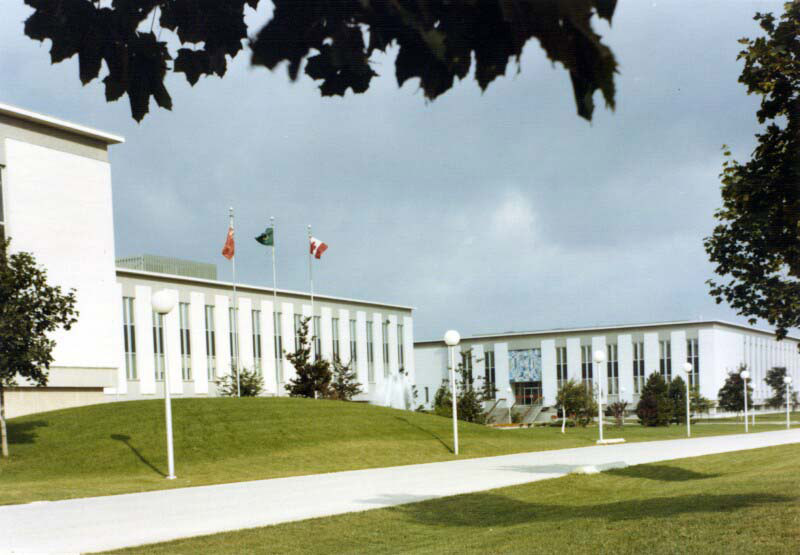 Pasteur Mérieux Connaught became known as Aventis Pasteur, and in Canada became the "Connaught Campus" of Aventis Pasteur. However, within five years, Aventis was transformed into the even larger Sanofi-Aventis Group, following the acquisition of Aventis by Sanofi-Synthelabo of Paris. 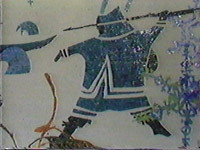 The original Connaught identity thus shifted yet again to become the Canadian component of Sanofi Pasteur, the global vaccine business of Sanofi-Aventis. 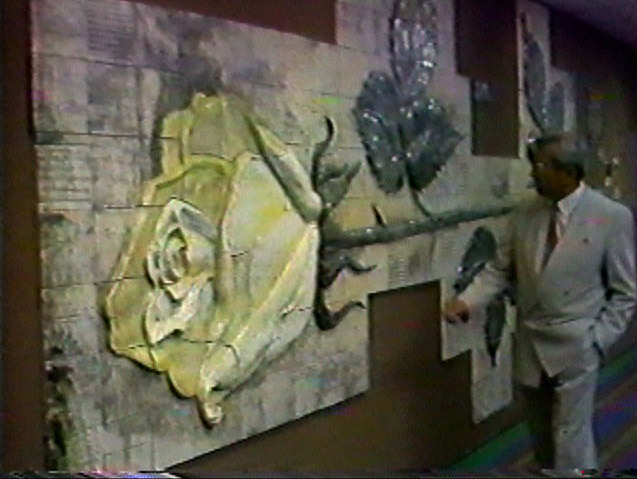 Below is a small sampling of Alex's enormous body of work, highlighting his large public art, hospital projects (donor wall and mosaic murals), fountains, church mosaics and sculptures, and some of his recent paintings.